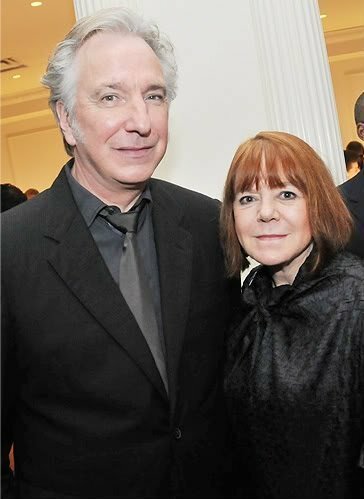 alan rickman and rima horton. . Wallpaper and background images in the Alan Rickman club tagged: alan rickman rickman. This Alan Rickman photo contains suti biashara and biashara suti. There might also be nyayo, suti ya nguo, seti, seti ya nguo, tatu kipande suti, mara mbili breasted suti, and suti mara mbili matiti. I don't believe it. I need help. I live across the pond. I'm 44 yrs. his senior, I'll probably never even meet or see him. And I am jealous of her. But...I wish them well. Actually I think I am more in love with Professor Snape and Sheriff Nottingham. *wink wink.